Our attention has recently been directed to Pet Architecture; Human’s Best Friend, an intriguing article about Animals, Pets, Architecture, design and “the active (again, practice) reincorporation – and embodiment – of information.” The piece is really quite fascinating, though it does require a bit of background reading. Some of the areas covered in the work by Carla Leitao have been investigated in our Architectural Animal Series (1, 2, 3, 4, 5, 6 and 7) and it plays quite nicely into our currently on-going discussion of Architecture in the Darwinian Arena. 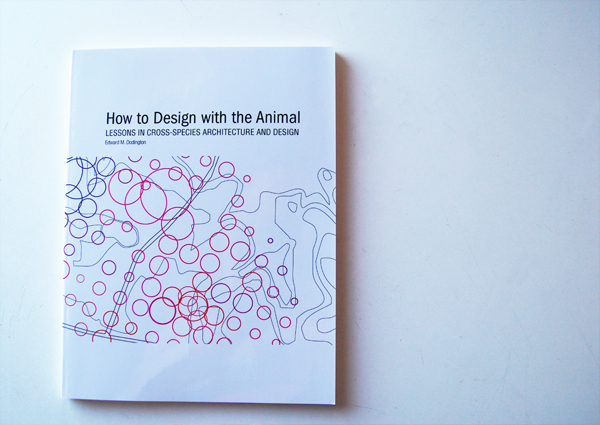 For those of you interested in the philosophy (Derrida, Harraway, Ingraham) thought and implications of the Animal Architecture project we highly recommend it. In the Animal Architecture Competition Awards the tamed animal is easily taken for granted in projects which revere the productive//production character of farms and take it to the next level of safe robotics – tamed not to harm – or the expected subservience of reward training in our dealings with other species. Some examples of premiated projects include the restoration of bee colonies via large apiaries cross-programmed with educational elements ; or new scaled up robotic chickens and bulls (‘Animal Farmatures’) in new hyper-fake compounds that bump Farmland World to the next level of possible mixes between agro-tourism-spa for distressed urban dwellers. The different entries to this provocative competition show a consistent drive toward enough measures of control- present in taming practices and tested design strategies- which would allow multiple species to exist in a forged, new-found ecological encounter. The optimism emerging out of the integrated non-collage character of many of the [competition] renderings is beyond ironic – it swims easily in the sea of behavior driven happiness. The biological-computational, confused by the distinction between analogical model and matter-itself, does not account for error but focuses on the intersection possibilities, on the clean section provided by years now of consistent training of agent-based design in design disciplines, and its search for richer micro-scalar possibilities in the formulation of matter and form. Design practice, by frequently dealing with so-called ‘stupid’ agents in computational models that render biological behavior and intelligence as a scale transition problem between units and populations, has highlighted two different attitudes that reflect the still prevalent incomprehensibility and incommunicability across species. On the one hand, the focus on the potential of micro-processes (rather than the large bodies we can recall as ‘animals’ or ‘plants’, etc.) produces the study of behaviors disentangled from the unknown of faults and creases in the real – whether living or inert. This produces a model for operation without models, which is largely uninterested in the actualized bodies of the present, insofar as it relates to them on a sub-level. Whatever the consequences of this may be. thanks a lot for this very fast relinking. I am glad that a website like yours took interest in Carla’s essay. This essay being part of a series commissioned and published by The Funambulist, I think that it would be nice of the name of the blog appears somewhere.